Located in the heart of Knynsa, Pezula is an exceptional five-star hotel which offers guests luxurious accommodation and magnificent facilities. The hotel is set right on the Pezula Golf Estate with many of its properties overlooking the Championship Course and is also amongst some astonishing natural surroundings with nearby forests, mountains and beaches. Pezula has won a collective of prestigious awards in recent times, most notably at the World Luxury Hotel Awards, being victorious in the following categories: Global Luxury Golf Resort, Luxury Honeymoon Resort in South Africa, Luxury Coastal Resort and Best Luxury Resort Spa in Africa. There are 86 excellently appointed guest rooms and suites at Pezula and range across 6 different room categories. Despite the lowest room offering at the hotel, the King and Twin Junior rooms are extremely impressive. While the twin offers a private patio with a garden view, a stay in the king also gives you the option of an ocean view as well as many other luxurious amenities. From the walk-in-wardrobe to the walk-in-shower, everything in this room is designed to make guests feel completely comfortable as well as recognising the prestige of staying in such a high-quality hotel. With the Superior Executive rooms offering a lagoon view and extra space for two more guests, its not until you reach the Grand Suite and Private Villa that you truly understand the grandeur of this magnificent hotel. The suite will have you wishing this was a permanent home with a separate bed, dining and living room as well as a fully equipped kitchen. Add to that the added bonus of underfloor heating and you’ll struggle to find a more perfect spot for your stay in Knynsa. However, if you are travelling in a larger group, as a family or are simply up for a lavish stay then the two bed private villa is the right choice; this exclusive option can sleep up to 6 guests and included its very own heated plunge pool. 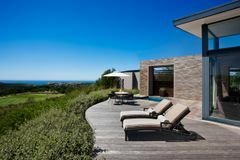 It comes as no surprise that the facilities at Pezula are equally as impressive as the accommodation with an incredible Pezula Spa & Gym. The gym is full of state-of-the-art equipment for a brisk workout to start your day while after a round of golf, there is the serene spa environment where guests are encouraged to indulge in the pampering treatments. For dining at the hotel, there are a range of restaurants and lounges which offer a different environment in which to enjoy some fine dining or a swift cocktail. Cafe Z is more causal, offering locally sourced dishes while Zacharys is a stylish, high end restaurant which matches its style with substance as its menu is extremely varied and full of succulent dishes.